What role for public-private partnerships to deliver public goods post-Brexit? Place-based Payments for Ecosystem Service schemes are broadening to new land uses, habitats and services. The Woodland Carbon Code and Peatland Code already successfully source private funding public goods delivery alongside public funding. 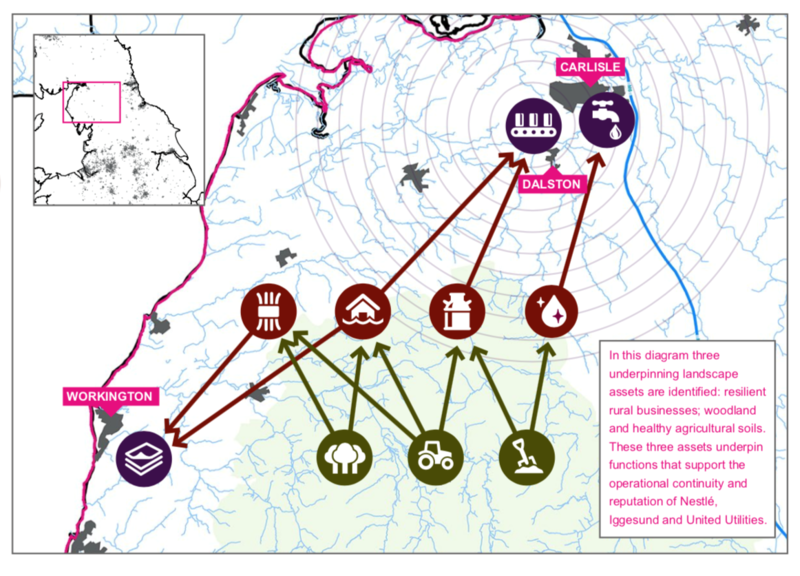 Now Landscape Enterprise Networks (LENs) are pooling funds from multiple private investors to deliver public goods across a broader range of land uses and habitats than ever before. In this blog, Prof Mark Reed summarises existing evidence behind the LENs approach, and considers the role of public-private partnerships in post-Brexit agricultural policy. What are Landscape Enterprise Networks? LENs builds coalitions of businesses around shared commercial interest in how landscapes function to drive investment and innovation around strategic assets like soils, aquifers, access infrastructure, habitats and tree cover. Why do we need the LENs approach now? Do LENs deliver public goods? The LENs approach builds on decades of research into Payment for Ecosystem Services (PES), and more recent UK-based work to develop a place-based approach to PES (Reed et al., 2017). LENs follow this place-based approach, where multiple ecosystem services are delivered in the same landscape in a voluntary transaction between buyers and sellers of services, as part of a schemes that is developed and governed by partnerships of relevant stakeholders who hold shared values for the landscape. The UK’s Peatland Code is the first regional carbon market to be developed following this approach, following from the success of the Woodland Carbon Code. Both Codes build on a rich evidence-base showing the multiple benefits for society of woodland planting and peatland restoration, enabling the schemes to provide guarantees to investors and safeguards to landowners and managers. Validated and verified projects from both schemes show that this approach is able to leverage private investment alongside public funding to deliver public goods that would not have been delivered through public investment alone. The Peatland Code and Woodland Carbon Code are restricted to two habitats and tend to focus on climate mitigation benefits. The Landscape Enterprise Network approach is now broadening this place-based approach to draw in a wider range of organisations to fund the delivery of a wider range of public goods from more varied landscapes and habitats. Here is the big idea: Government could encourage and co-ordinate with private place-based schemes alongside publicly funded schemes. The UK has led Europe in the development of private schemes for the delivery of ecosystem services, pioneering the development of the Woodland Carbon Code, the Peatland Code and the LENs approach. These approaches have particular value in a post-Brexit policy environment where there may be greater scrutiny of compliance with WTO rules. The full policy brief can be accessed here. This entry was posted in Uncategorised by Adrienne. Bookmark the permalink.